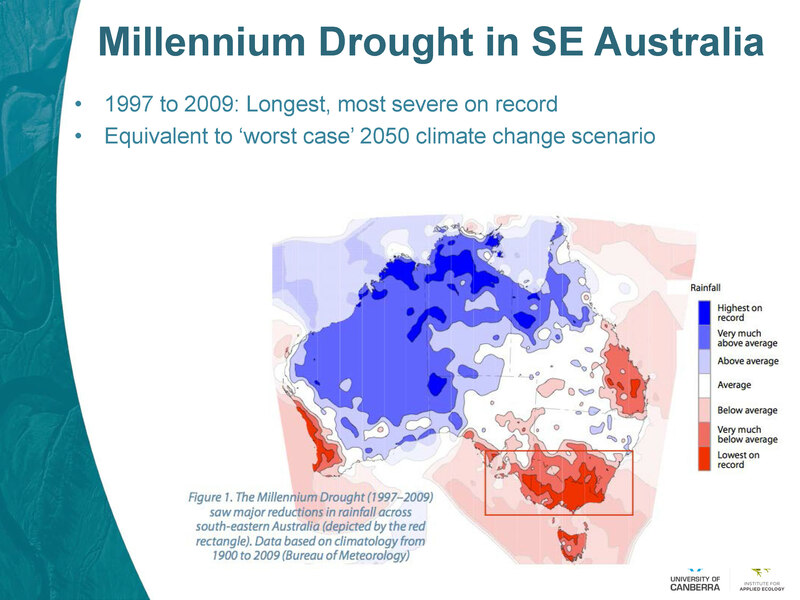 In the late 1990s, Australia began experiencing severe drought conditions that stretched on for well over a decade. Australia is no stranger to drought, being known as the ‘land of droughts and flooding rains;’ however, the Millennium Drought as it would come to be known, was by far the worst on record. When the drought finally broke, it did so with drenching rains and flooding that claimed more than 20 lives and destroyed hundreds of homes. The impact of the long intense drought was devastating to both the nation’s agriculture and environment; urban residents felt the squeeze as well, with some cities water use falling down to a mere 39 gallons per capita per day. 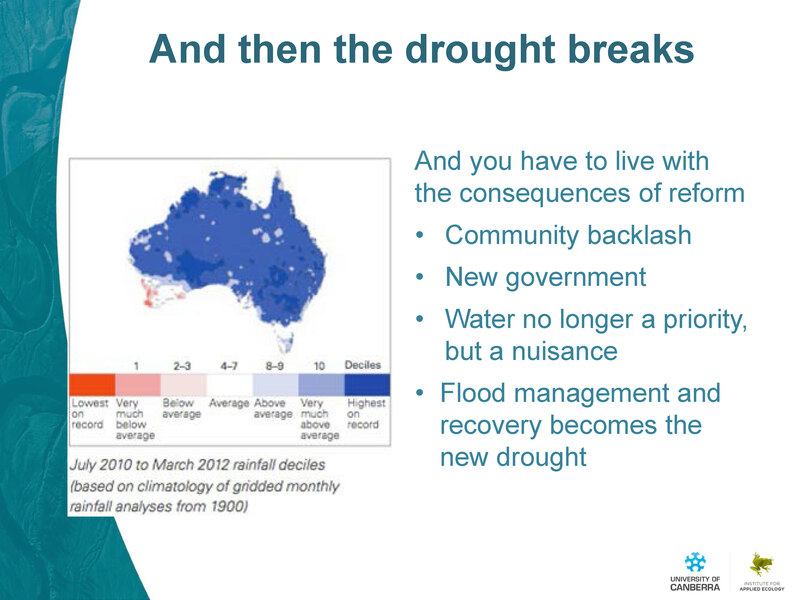 As the state of California confronts potentially a drought that could last for years, what lessons can be learned from the Australian experience? There has been a lot of effort put into improving the environmental water that goes beyond just providing environmental water, although that’s critical, she said. “It’s setting it in the context of catchment management and improving river health, and it’s on the assumption that a healthy environment will underpin our regional economies and our regional well being,” she said. 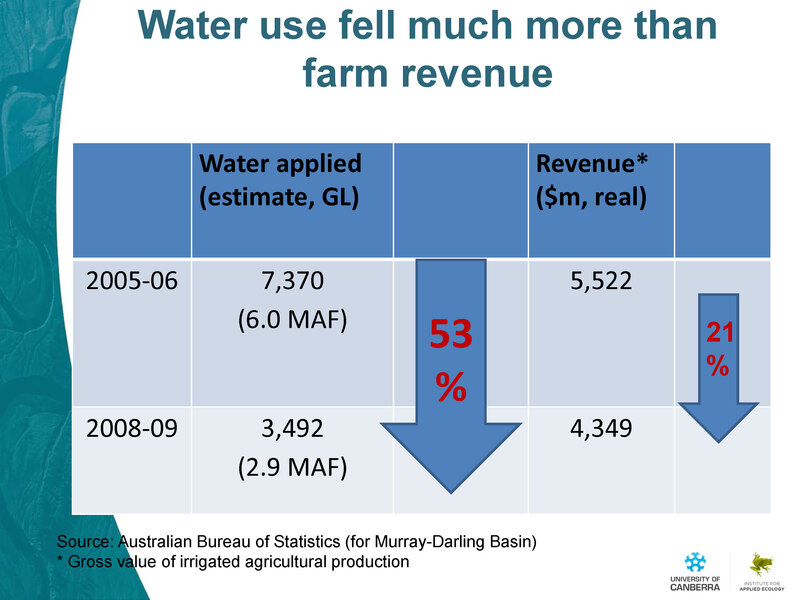 Australia had been focusing on water for 20 years, and then the millennium drought struck, she said. The drought struck southeastern Australia, the states of Victoria and New South Wales, a bit of Queensland and south Australia, as well as Tasmania which share the Murray Darling Basin, the food bowl of Australia, she said. She noted that the reforms were primarily in Victoria and the Murray-Darling basin, but did apply to all of those states. The drought was pretty bad for the environment, too. “For the whole period of the 12 years of the drought, we had reduced streamflows,” she said. 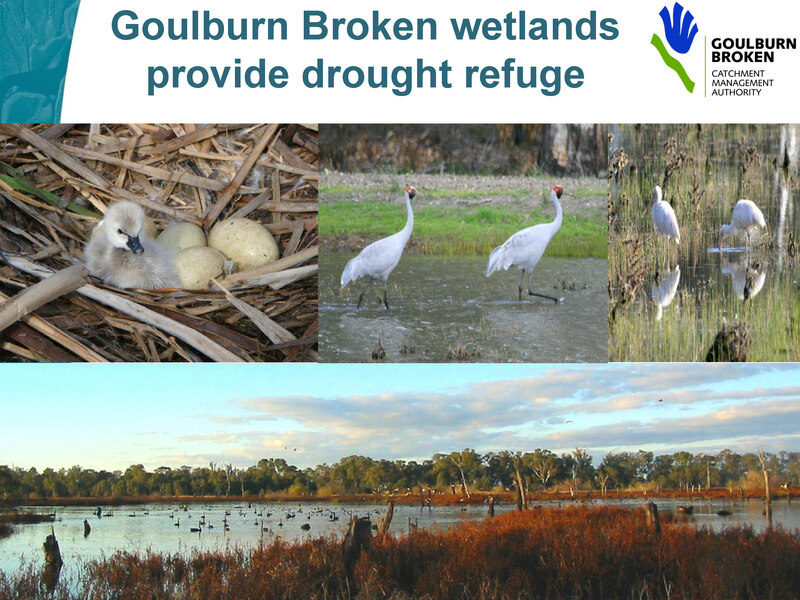 “In western Victoria, those streamflows were reduced for that period by 80 to 90%. 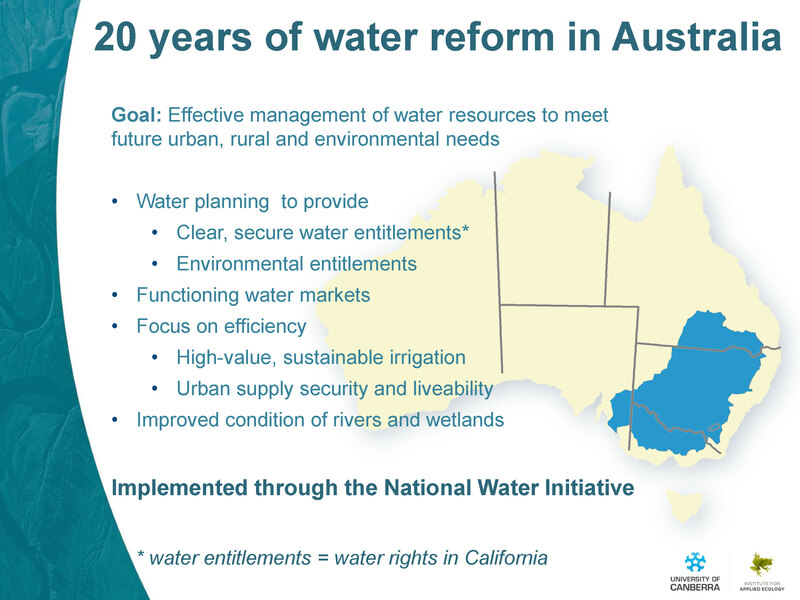 In regulated rivers or rivers with dams on them, all of the passing flows, which are for the environment and are protected by law, were qualified and reduced to provide water for critical human needs.” She noted that was the Australian counterpart to the California term, curtailment. 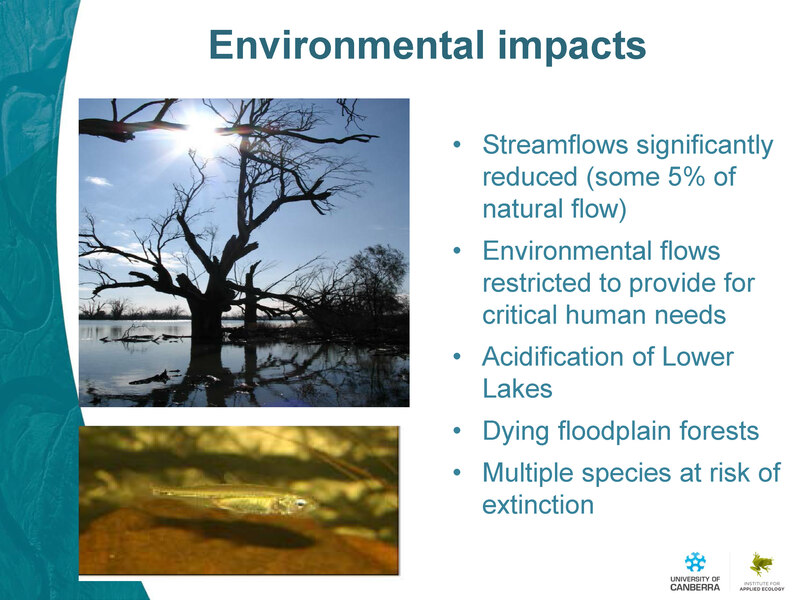 As a result, there were significant environmental impacts. 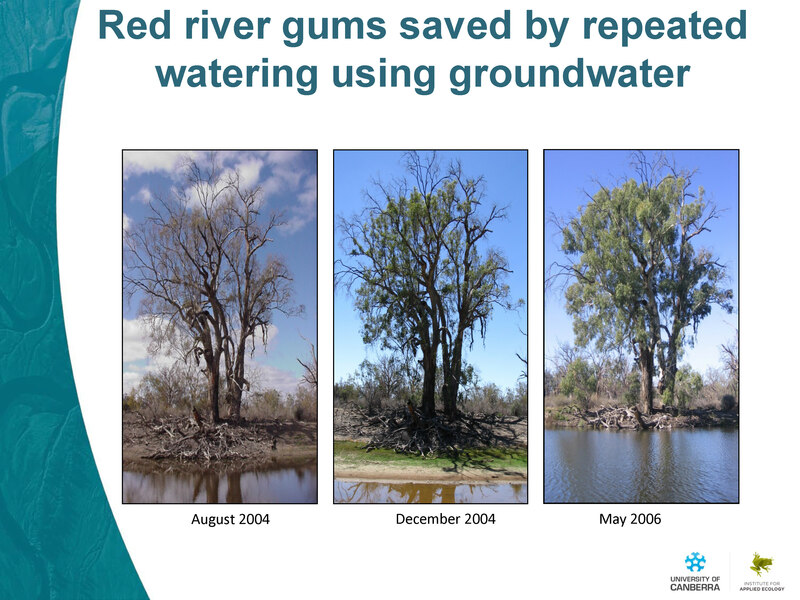 “Seventy percent of river red gums along the Murray system were dead or dying, water birds in southeast Australia down to one-third their numbers, we had some species at risk of extinction and we had the lower lakes of the whole end of the Murray-Darling system starting to turn acid,” she said. 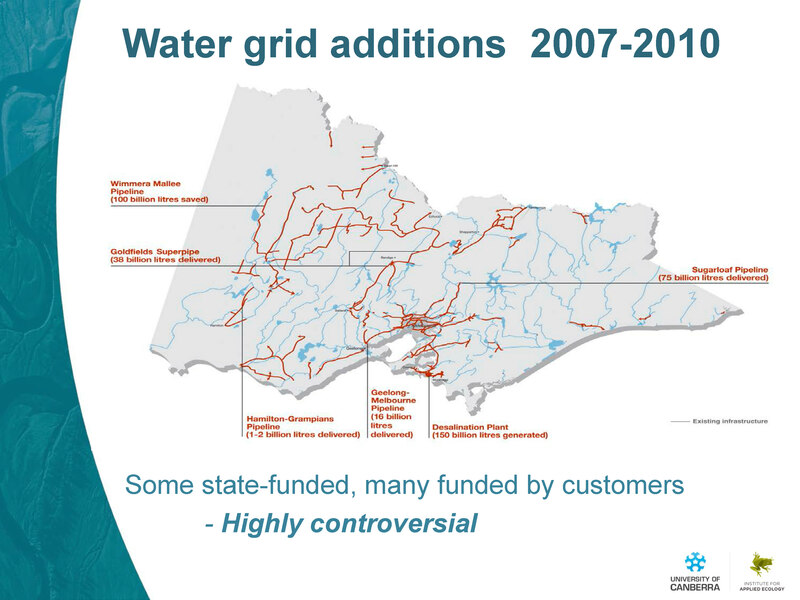 “We improved the water grid physically to extend the coverage of the market,” Ms. Doolan added. The urban suppliers looked at alternative sources, such as groundwater, recycled water, and stormwater where they could; some bought permanent entitlements on the market and diversified their sources, she said. 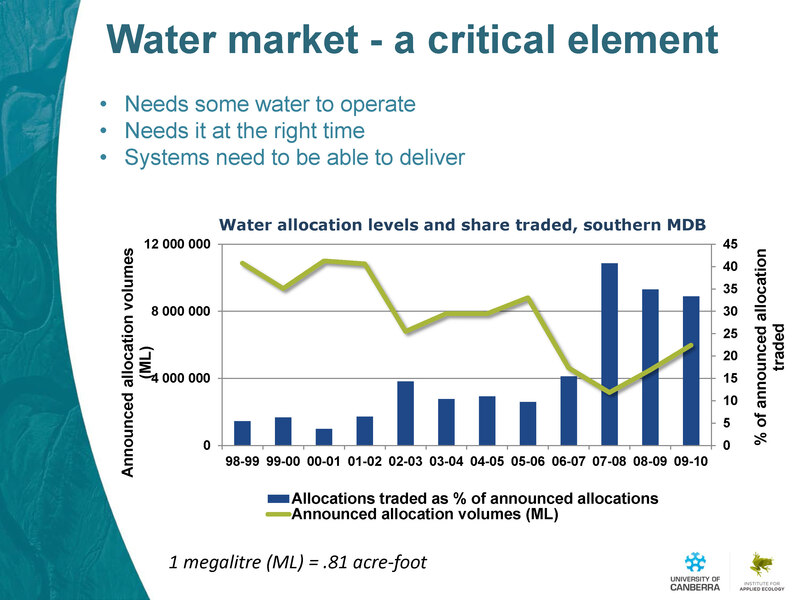 They also augmented supplies in nearly all the major cities with desalination plants. “They were highly, highly controversial, but they all have a desal plant right this minute,” she said. 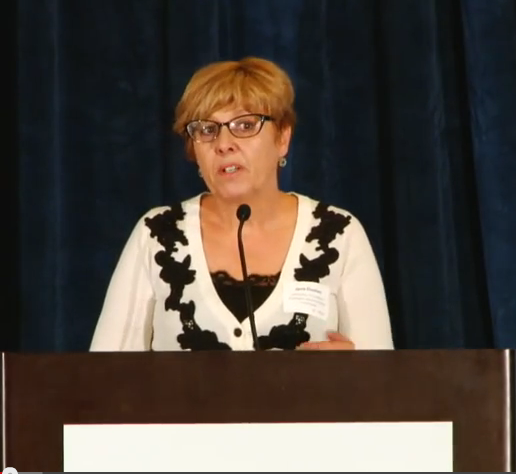 Click here for all the videos and presentations from the PPIC conference Managing Drought.